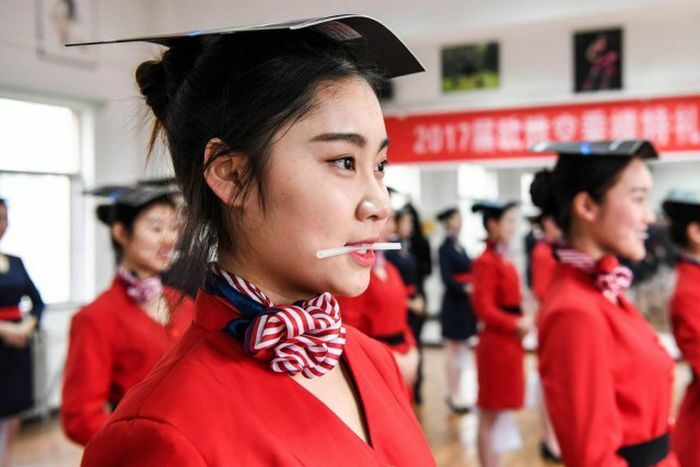 The work of a flight attendant is not as simple as it may seem, and if you want to be a flight attendant in China you have to be the best of the best. 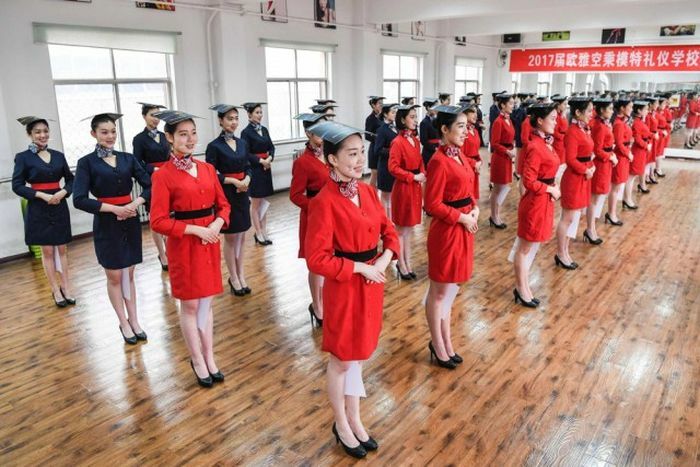 Before taking to the skies students in China must first pass a special class for flight attendants, and it requires them to do some interesting exercises. 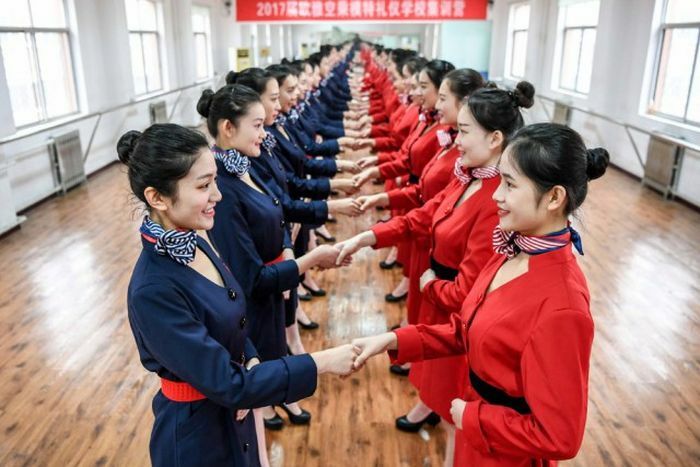 It's like flying with a bunch of robots. 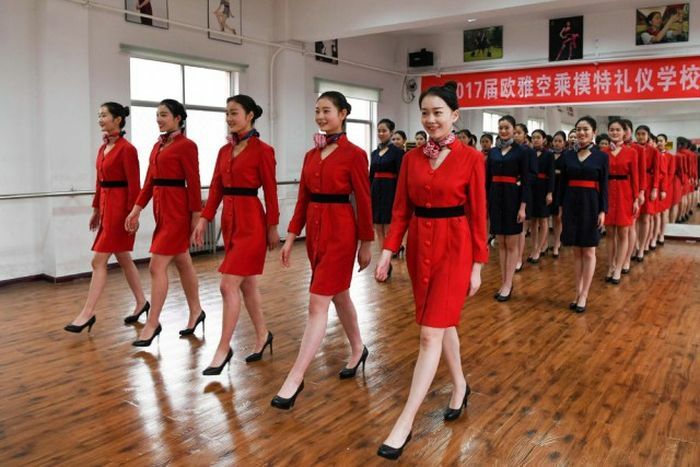 I can't imagine why China thinks people want to fly with an impersonal fembot. 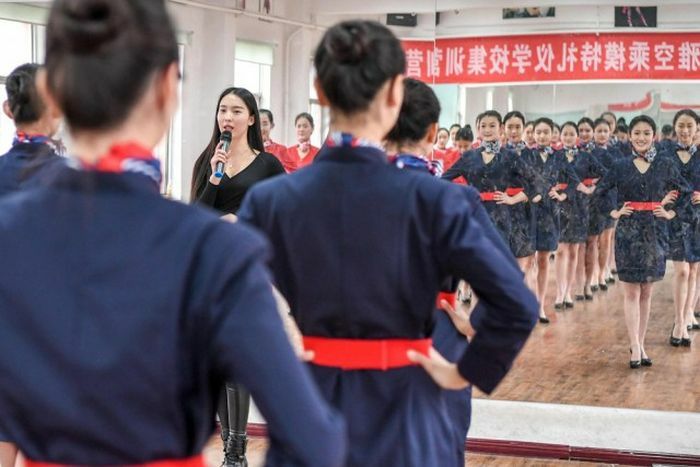 Teach them how to keep passengers safe, some practical self defense and emergency egress operations, but let them act like normal friggin humans FFS.